With over 10,000 sold out shows to their credit, The Lettermen are constantly sending valentines to their audiences with each note of every love song. Versatility of group members and personal tastes let each display a variety of musical styles – – adapting through years to include whatever the current trend may be. International audiences attest to the universal appeal of The Lettermen. Successful tours abroad have included visits to Japan, the Philippines, Thailand, Singapore, Hong Kong, France, Mexico, and Saudi Arabia. The music of these true entertainers transcends all language barriers as it romances the soul, and warms the hearts of millions. The beautiful voices of the singing trio, The Lettermen, first hit the music charts in 1961 with “The Way You Look Tonight”. Their voices blended as oneand after following that first hit with another chart topper, “When I Fall In Love”, they were voted best vocal group of that year. The original singers: Tony Butala, Jim Pike, and Bob Engemann continued to stay on top with beautiful harmony and love songs, while becoming one of the top college concert attractions of the 1960’s. They brought words to the Percy Faith hit: “Theme From A Summer Place”, revived the classic Charlie Chaplin song: “Smile”, warmed us with “Our Winter Love”, they begged “Come Back Silly Girl”, made everyone’s “Graduation Day” memorable, and came out, in 1966, with one of the most love Holiday albums ever recorded: “For Christmas This Year”. Late 1967 brought about a “Live” album, and perhaps the group’s most loved and requested hit: “Goin’ Out Of My Head / Can’t Take My Eyes Off You”. In 1967, Engemann left the group and was replaced by Jim’s younger brother, Gary Pike and the magic continued with hits like: “Up, Up and Away” – “Hurt So Bad” – “Shangri-La” – “Put Your Head On My Shoulder,” and the John Lennon penned “Love”. In 1973, when Jim left the group, the youngest Pike brother Donny took over, and more magic was made. With hits like: “Cherish / Precious And Few” – “World Without Love” – “If You Feel The Way I Do” – “Feelings” – “What I Did For Love” and Donny’s own “Thank You Girl”, the group proved once again and again that they could continue to be a force in the recording industry. Through the 70’s, 80’s and 90’s, and now into the year 2008, THE LETTERMEN continued to release albums and travel the world, performing hundreds of concerts each year. Members who have contributed their wonderful vocal talents to THE LETTERMEN sound include: Don Campeau, Ralph “Chad” Nichols, Ernie Pontiere, Bobby Poynton, and Darren Dowler, among others. Their beautiful harmony is timeless. 2016 will mark the 50th anniversary of Charlie’s debut album, the classic Stand Back! 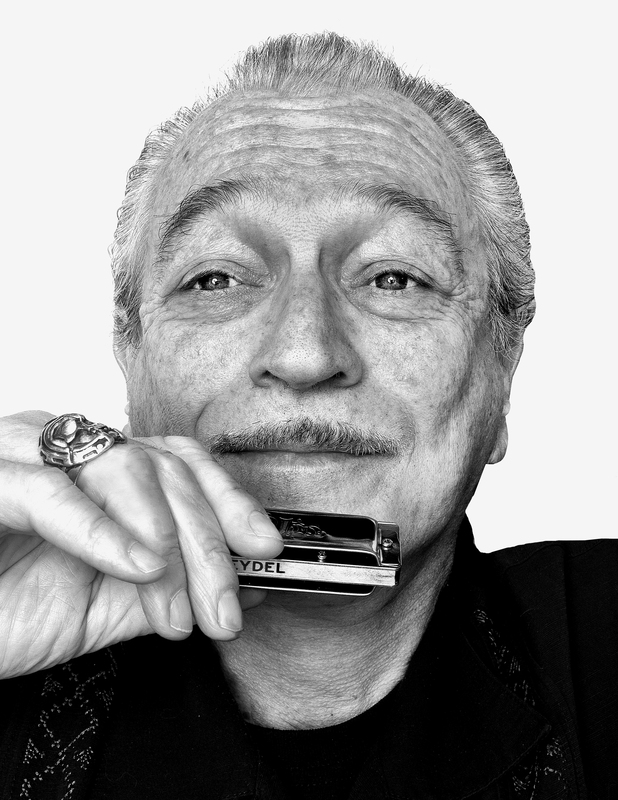 Here Comes Charlie Musselwhite’s South Side Band, which he recorded at age 22. That band featured legendary blues drummer Fred Below (of the Aces and countless sessions with Chicago’s blues giants), along with keyboardist Barry Goldberg and guitarist Harvey Mandel. In addition to guest turns by Marty Stuart, Charlie Sexton, Dave Gonzales, Stefan Grossman, and G.E. Smith, and stints by Chicago greats Luther Tucker, Freddie Roulette, Louis Myers, and Fenton Robinson, his groups have been a virtual finishing school for guitar slingers, such as Robben Ford, Junior Watson, Tim Kaihatsu and Kid Andersen. But Charlie’s current band ranks with the best he’s ever had. It features drummer June Core, bassist Steve Froberg, and guitarist Matt Stubbs. As for their bandleader, at 71 – Charlie is truly at the top of his game, as evidenced by I Ain’t Lyin’, Henrietta Records’ follow-up to the Grammy-nominated Juke Joint Chapel. 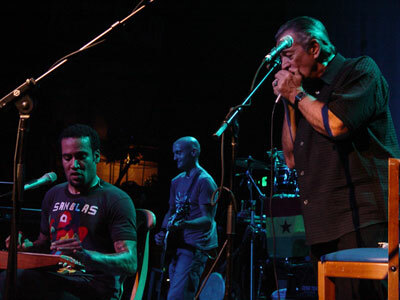 This year he won the Blues Music Awards’ Best Instrumentalist – Harmonica for a staggering 25th time, of his 29 wins overall and 2010 induction into the Blues Hall of Fame. Don't miss Opening Act - local guitar phenom AJ Gaytan joined by band The Catch. Born in the birthplace of the King of Rock & Roll — Tupelo, Mississippi — Paul Thorn knows a thing or two about shaking it onstage. Much like Elvis Presley, Thorn has distinguished himself early on in his career with a live-performance energy that has enraptured audiences. Paul Thorn’s new album Too Blessed To Be Stressed stakes out new territory for the popular roots-rock songwriter and performer. Tickets on sale December 12th at 12:00 noon. *$2 Facility Fee included in the ticket price. The South Beach Chamber Ensemble began in 1997 with a free concert of Haydn and Dvorak Piano Trios at the Bass Museum of Art, Miami Beach. Since then we have played at the Miami Beach Botanical Garden, Jewish Museum of Florida, Wolfsonian Museum, Miami Beach Community Church, St. John's on the Lake United Methodist Church, the Dave and Mary Alper JCC, Performing Arts Network and the Sanctuary at ArtSouth in Homestead. The ensemble is one of the only arts organizations in south Florida dedicated to offering affordable chamber music programs to new audiences while showcasing local musical talent. Our mission is to promote and perform chamber music in all its diverse forms, from its origins in the distant past to the varied cultural creations being produced today, bringing together performers, composers and audiences to experience the beauty and intimacy of the human spirit. Our vision is a world where music inspires and energizes all people, creating peace, harmony, joy and unprecedented satisfaction in being alive. In the past twelve years the ensemble has performed works by Bach, Beethoven, Brahms, Mozart, Mendelssohn, Haydn, Hummel, Dvorak, Schubert, Saint-Saens, Scriabin, Rachmaninoff, Onslow, Prokofiev, Poulenc, Couperin, Copland, Turina, Piazzolla, Villa-Lobos and Vaughan Williams. In February 2004 we were delighted that our Executive Director, Michael Andrews, was invited to Budapest, Hungary where he met brilliant, young, blind pianist Tamas Erdi. We played the spectacular Schumann Piano Quintet in Eb major with Mr. Erdi in March 2004 in Miami Beach and Miami. Music in Motion: Miami to Rio, August and September 2005, was a great success. Our performances of Villa-Lobos, Copland and Mendelssohn Piano Trios at the Villa-Lobos Museum, Rio de Janeiro and Bass Museum of Art, Miami Beach, were highlights of our eleven years together. Music in Motion: Miami-Argentina-Brazil, September 2007, included concerts and student programs in Rio de Janeiro, Salvador, Buenos Aires, Miami Beach and Miami Shores. We performed a worldwide radio broadcast of Music in Motion on Arts Beat with Ed Bell, WLRN. In June 2006 the inaugural South Beach Up North, a summer chamber music festival in Wausau, Wisconsin, Mr. Andrews' hometown, was a great accomplishment. Over two hundred people attended the free outdoor concert on the Square to listen to string quartets by Haydn, Barber and Dvorak. Following South Beach Up North Thomas Moore and Michael Andrews helped inaugurate the Wausau Conservatory of Music's String Camp for high school students in the central Wisconsin area. South Beach Up North on August 1-2, 2009 was a great success, with standing room only at the Woodson Art Museum concert with Miami poet Carlos Pintado and Boston composer Pamela Marshall. We have appeared on Wisconsin Public Radio's Rt. 51 with Glen Moberg every year since South Beach Up North started. The hour-long live broadcast gives the players a chance to perform for a much broader audience and chat informally about their life and music making. In December 2008 Mr. Moberg chose our June 2008 performance as one of the highlights of the year in central Wisconsin. We were invited to perform the Miami premiere of Argentine composer Osvaldo Golijov's La Pasion segun San Marco in January 2007 at the Carnival Center for the Performing Arts. Others included in the performance were Venezuela's world-renowned choir La Schola Cantorum, directed by Maria Guinard, a salsa and percussion band and Mr. Golijov himself. The South Beach Chamber Ensemble was excited to be named ensemble-in-residence at Barry University, Miami Shores in the fall of 2008. 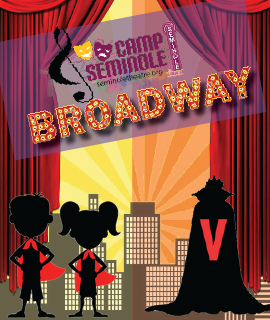 We'll also have food and drink specials in the Seminole Theatre lobby at 6:00pm, so come early to make a night of it. Also, stay late and go to the after party at Lucky's Saloon for more live music and drink specials with your ticket stub. What a year it’s been for American country singer-songwriter Brandy Clark. 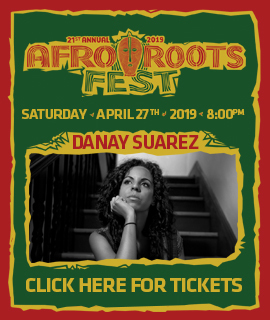 Named Music Row Magazine’s 2014 Breakthrough Artist of the Year after her debut album 12 Stories was named the best album of 2013 by New York Magazine, NPR, The New York Post, and The Boston Globe. Clark has garnered nominations for the 2015 CMA Awards, ACM Awards and Grammy Awards, and won the Country Music Association award for Song of the Year for co-writing the hit “Follow Your Arrow”. "Ain't we all the stars playing the leading part in our own soap opera?" Brandy Clark belts out that question to kick off Big Day in a Small Town, positing the premise of not just the opening track ("Soap Opera"), but all 10 songs that follow it. The towns that anchor Clark's new album may be small enough to warrant only a single blinking light, but the lives lived in them are anything but... and neither are the hopes and dreams that rise from their backroads and bedrooms. When you grow up in a small town, oftentimes, your dreams are all you have. Whether it's to become a football star or a father, a homecoming queen or a hairdresser, your dreams might be the only thing that keep you going. For Clark, the dream she harbored in her small hometown of Morton, Washington, was to be a country singer. Sure, once she moved to Nashville, she had successful cuts as a songwriter [The Band Perry's "Better Dig Two," Miranda Lambert's "Mama's Broken Heart," and Kacey Musgraves' "Follow Your Arrow" which won the CMA Song of the Year Award in 2014], but being an artist in her own right was a dream she had stopped dreaming until three years ago when her first album, the stunning 12 Stories, debuted. Levon’s lead singer and guitarist Michael Hall remembers his father listening to country and 70’s rock bands and thinking, “This is the kind of music people want to get back to, music I want to get back to. Honest lyrics and memorable melodies. Hopefully our music speaks to that,” he says. With influences like Pure Prairie League, CSN, Keith Urban and The Eagles, Levon’s sound is a combination of “Then” and “Now”. In 2013, Michael Hall was in Los Angeles working with songwriter/producer Jamie Houston. Michael and Jamie quickly discovered each others love for three part harmony and decided to explore the possibilities. One night in early 2014, Hall, and Jake Singleton happened to be playing with different bands at the same venue in Franklin, TN. “Finding others with the same focus was proving to be difficult,” Hall says. Alejandro Escovedo is one with his muse and his music. Over a lifetime spent traversing the bridge between words and melody, the Mexican American singer-songwriter has ranged over an emotional depth that embraces all forms of genre and presentation, a resolute voice that weathers the emotional terrain of our lives, its celebrations and despairs, landmines and blindsides and upheavals and beckoning distractions, in search for ultimate release and the healing truth of honesty. NASHVILLE RECORDING ARTIST JADE SANDERS IS A 17 YR OLD SINGER/SONGWRITER FROM HOMESTEAD, FL. AFTER LEARNING HER FIRST THREE CHORDS ON GUITAR FROM HER DAD, JADE BEGAN WRITING SONGS AT THE YOUNG AGE OF 10. JADE’S ORIGINAL SONGS ARE NOW BEING PLAYED AT THUNDER COUNTRY 100.3 IN SOUTH FLORIDA & K99.1 TODAY'S COUNTRY IN BILOXI, MS. JADE HAS TRAVELED TO NASHVILLE TWICE NOW TO RECORD HER ORIGINAL MUSIC. SHE HAS RELEASED 6 OF HER SONGS WHICH YOU CAN DOWNLOAD ON ITUNES. JADE HAS BEEN CALLED AN OLD SOUL BY PEOPLE WHO HAVE LISTENED TO HER ORIGINAL MUSIC. SHE WRITES ABOUT LIFE WAY BEYOND HER YOUNG AGE & WHEN ASKED WHERE HER INSPIRATION COMES FROM SHE DESCRIBES HERSELF AS A PEOPLE WATCHER & BOOK LOVER. JADE IS LOOKING FORWARD TO THE FUTURE & WORKING HARD EVERY DAY TO ACHIEVE HER GOAL OF A LONG CAREER IN COUNTRY MUSIC! FOR MORE INFORMATION ABOUT JADE & TO LISTEN TO HER MUSIC YOU CAN VISIT HER WEBSITE AT WWW.JADESANDERSMUSIC.COM. 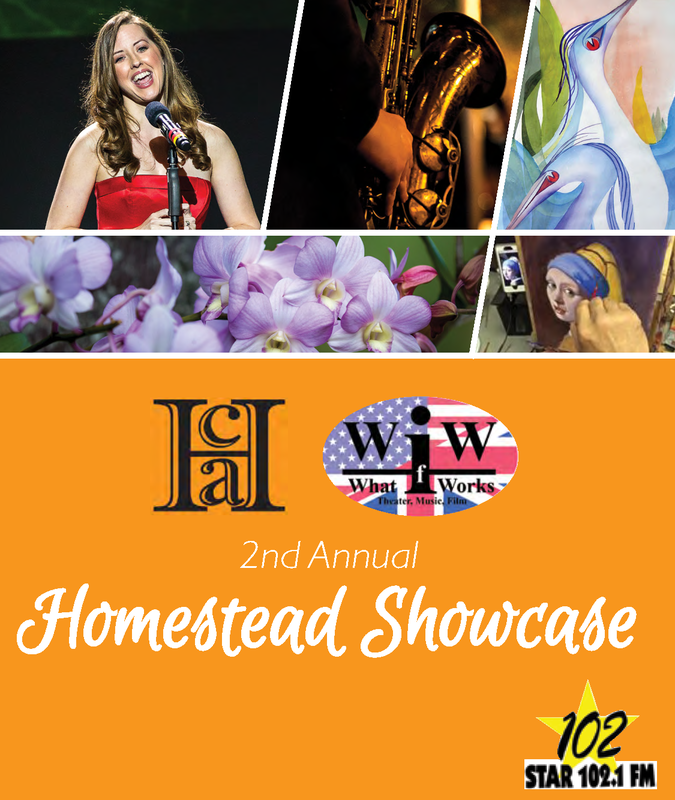 Join us for a night of comedy at the Seminole Theatre with the inaugural “Homestead Laughs”. 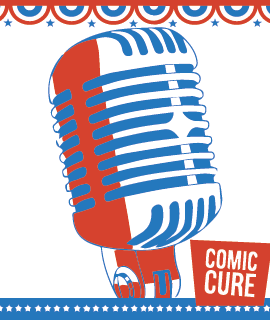 This year’s headlining comedian is Drew Lynch, best known as Golden Buzzer winner from America’s Got Talent. Drew Lynch Originally from Indianapolis, at the age of 19, Drew Lynch moved to Los Angeles with aspirations of becoming an actor, then an unexpected softball accident just a year into his acting career left him with a severe stutter and crushed his hopes of ever performing again. But his continued drive to become an entertainer forced him in a different direction, he started reflecting through stand-up comedy on the “softball that humbly changed his life.” Drew's ability to deal with his stutter and making it relatable to real-life situations ultimately landed him the title of first runner-up on "Season 10 of America's Got Talent." Inspired by comedians Bo Burnham, Louis C.K, he now headlines Comedy Clubs across the country. In addition, Drew has appeared on the "Dr. Oz Show," and as a celebrity guest on the game show "Idiot Test." NOTE: Must be 18 years of age or older to attend.